$100 Gift Cards to Eddie Merlot's Valid at All 11 Locations! Eddie Merlot’s is a place where hospitality and the comfort of our guests are our highest mission; we pledge to provide the finest personal service, highest quality of foods, freshest ingredients, in world class facilities for all of our guests to enjoy a memorable experience. 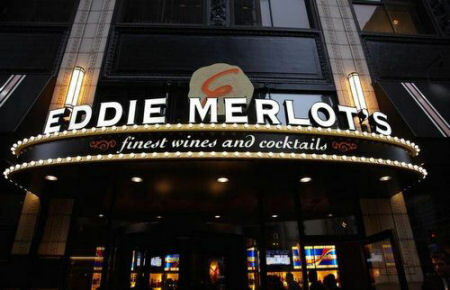 Eddie Merlot's offers locations in Illinois, Indiana, Kentucky, Michigan, Ohio and Pennsylvania. Gift card can be used to purchase goods and other services at any of our participating Eddie Merlot's locations. Not responsible for lost, stolen, or damaged cards.